The DIY or DIE aesthetic that the Dune Rats have been cultivating for the past few years has drawn equal amounts of adulation and indifference . The legions of fans attest to their success, but many see Dune Rats as a flavour-of-the-month type of thing. The bro’s seem unconcerned with anything other than good times which can make for some good music, but some that could lack depth. Music like this is here for a good time, not a long time and some of their peers (Bleeding Knees Club, for example) aren’t able to maintain the energy. The sunny, party time pop punk can be a dime-a-dozen occurrence these days; interestingly enough, Dune Rats seem to be enduring. As far as the DIY aspect goes – this debut self titled LP is highly polished, eschewing the buzz and crackle of the early two-piece recordings in favour of a full, clean, encompassing wall of sound. The wails and howls are ably propelled by the rhythm section and the lyrics are refreshingly self-depreciating and (dare I say it) a little bit insightful. The high point of this collection is how DR manages to bring in elements of Blink-182 cheek and Wavves-like sunshine and add it to their fair dinkum leanings. The trio sit at an intersecting point between pop, punk, garage and stoner rock – a highly entertaining mix but one that might prove hard to turn into longevity. Interestingly enough, the band seem to enjoy the ‘live fast, die young’ so the band might burn bright for a short time before they move on. If they do a second album, we will be able to see if Dune Rats are forever or just for now. In the meantime, this album is good and is a pleasant high-point for Brisbane music this year. 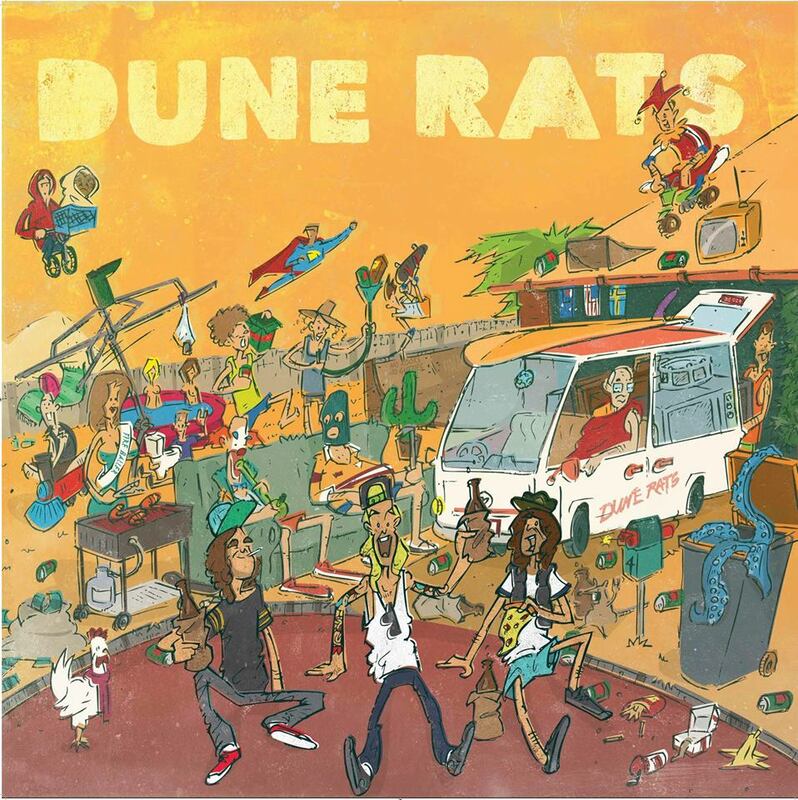 Purchase Dune Rats digitally or physically.